Spring Jeans first surfaced on Chictopia's streetstyle gallery in Fall 2008 seen on Melbourne blogger fashrash. She wore her black Lee jeans with a black Maurie and Eve metal studs top and black Wittner shoes. Since then, Spring Jeans have grown in popularity as bloggers from Los Angeles, New York, and San Francisco have discovered them. Spring Jeans are generally seen in casual, chic, and comfortable style. In April 2011, Chictopia wrote an editorial about Boyfriend Jeans: Spring Trend 2011. Popular brands of Spring Jeans are Topshop, Levi's, Forever 21, H&M, and Zara. 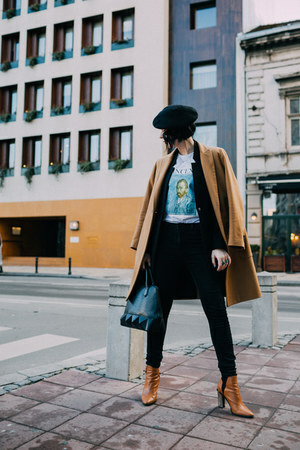 There are currently 28330 streetstyle photos of bloggers wearing Spring Jeans. Most recently, blogger reyalfashion of reyalfashion.com rocked his sky blue Levi's jeans with a yellow Zegna jacket, teal Topman shirt, and black ray-ban sunglasses.